If stuffing the turkey, do so while the oven is preheating. Spoon stuffing lightly into turkey instead of packing firmly because stuffing expands while cooking. (Allow ½ cup (125 ml) of stuffing per pound (500 g) of turkey). 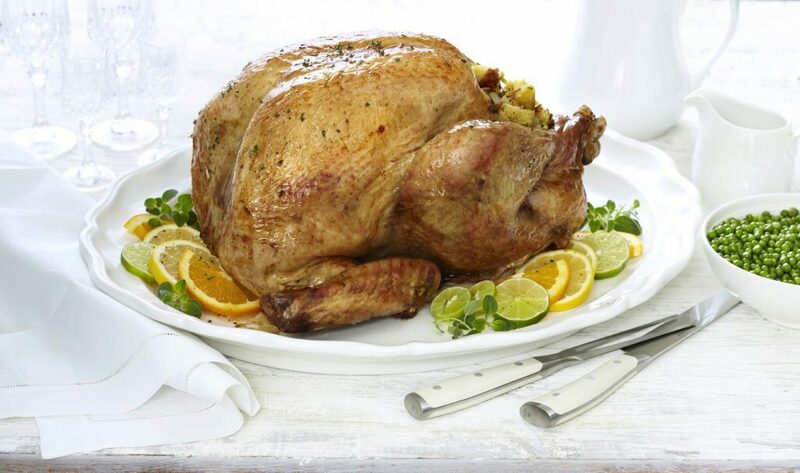 Turkey is cooked when the meat thermometer reads 170°F (77°C) for an unstuffed turkey, or 180°F (82°C) for a stuffed turkey and the juices run clear. See Cooking Times and Temperatures for approximate cooking times. Remove the turkey from the oven when cooking is completed and let stand 15 – 20 minutes to allow the juices to set.